Spider-Man has donned dozens of suits over the years, so it’s no surprise to hear Marvel Studios had troubling picking a favorite. When Spider-Man: Homecoming swung into theaters this month, the film had Peter Parker wear his traditional suit. However, the teenager could have donned a totally different suit if Ryan Meinerding’s concept art has anything to say. UP NEXT: Could Miles Morales Come To The MCU After Homecoming? Over online, the Marvel Studios concept artist revealed a look at the various costume designs he did for the newest Marvel film. Meinerding did a mock-up of Peter in a suit inspired by Superior Spider-Man, and he also inked one which harkens to Scarlet Spider. The artwork, which can be seen below, shows Spider-Man wearing a very different costume than the one fans ultimately saw. The image is meant to show Peter’s homemade costume as it combines red sweats, a blue cut-off hoodie, and fingerless gloves. The DIY aesthetic looks more than a little cozy, and it is sourced from Marvel’s Scarlet Spider run. If you are not familiar with Scarlet Spider, then you should know the character has along history with Spider-Man. The moniker was first used by Benjamin Reilly, a clone of Spider-Man created by Jackal. Ben wanted to become a hero like his progenitor Spider-Man, so he took up the Scarlet Spider mantle. 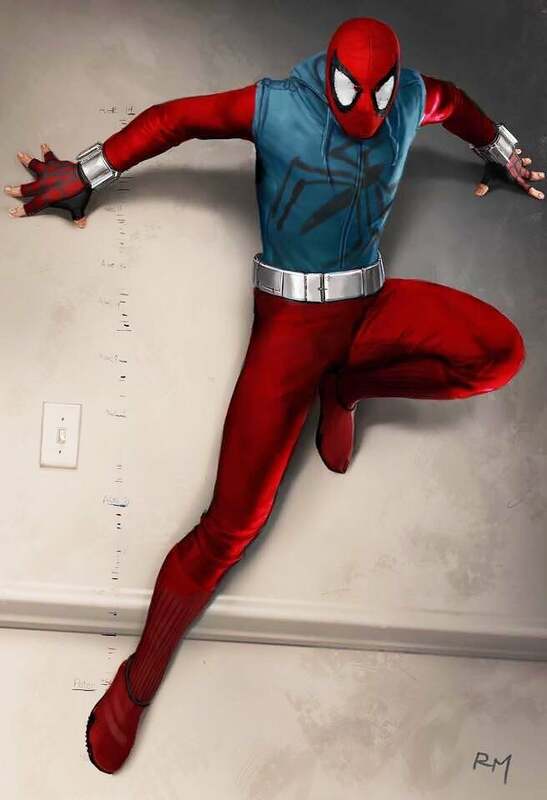 Joe Wade, Kaine, and even Peter himself have donned the Scarlet Spider costume over the years, so the concept art is a nice nod to Marvel’s rich past. Spider-Man: Homecoming is in theaters now! Give it your personal rating below! 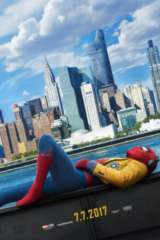 The cast includes Tom Holland, Michael Keaton, Zendaya, Donald Glover, JacobBatalon, Laura Harrier, Tony Revolori, Tyne Daly, Bokeem Woodbine, with Marisa Tomei, and Robert Downey Jr. It also includes Jon Favreau, Martin Starr, Kenneth Choi, Michael Mando, Selenis Leyva, Isabella Amara, Jorge Lendeborg, Jr., JJ Totah, and Hannibal Buress.